Search the latest craftsman-style homes for sale in Austin, Texas! With wooden details gently layered over stucco, shingles and brick exteriors, craftsman-style homes for sale in Austin will charm you every time. This is a uniquely American home design that gained popularity in the early 20th century. At Berkshire Hathaway HomeService, we can help put you in touch with qualified builders, tell you more about upcoming developments and keep watch for upcoming properties that match your search criteria. 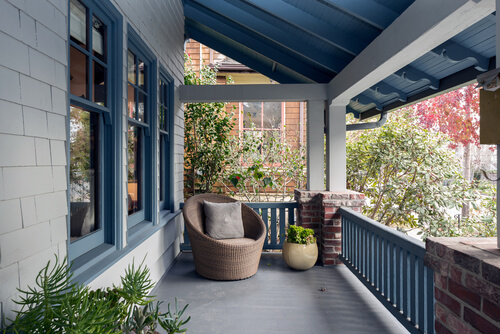 Read more about what these beautiful property types have to offer or browse through some of the most recently listed Craftsman-style homes below. Austin Craftsman-style homes have low pitched, front or side gabled roofs, dormer winders, and overhanging eves. Decorative exterior features include attic vents in front facing gables, braces and stickwork under the gables, and exposed rafters and beams. You'll love the natural elements and welcoming exterior features of these properties. 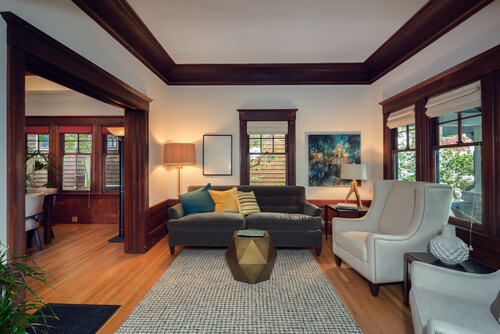 Natural materials, wide doors, window casings and wood trims are things that come to mind when you think of a craftsman-style home in Austin. Earthy colors and harmonious wood tones create a warm and welcoming ambience any home owner would be proud to come home to. Other great features of these properties include decorative finishes, built-in woodwork and plenty of natural light. Questions About Craftsman-style Homes or Any Austin Real Estate?